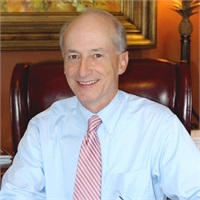 About | Holmes Financial Group, Inc.
Steven Holmes brings over 35 years of public accounting experience along with more than 18 years experience in the financial services industry. Steven is a registered representative with LPL Financial and holds a Series 7 securities registration with LPL Financial. As a CERTIFIED FINANCIAL PLANNER™ and a CERTIFIED PUBLIC ACCOUNTANT and a CERTIFIED KINGDOM ADVISOR, he integrates his knowledge in both disciplines to provide a higher level of service to firm clients. Having an intimate knowledge of a client' s income tax picture plays an important role in investment decisions. By the same token, being involved in a client' s investment plan can reveal critical information when providing tax planning services. Integrating these two fields under one roof is a great benefit to firm clients. Steven married his high school sweetheart, the former Susan Garrett and they have three children and five grandchildren. Steven teaches Sunday School and serves as a deacon at Tabernacle Baptist Church, where he is chairman of the Finance Committee. He also serves on the board of THS Emergency Shelter in Carrollton GA.
As an independently managed financial services firm, our advice and recommendations are not influenced by any outside entity such as an insurance company or mutual fund family. This allows us to put the interests of our clients first as we strive to help them reach their financial goals. Rather than focusing on product, we work to find the appropriate strategies to fit with each client’s situation. Please visit the Products & Services section of our website to learn more.